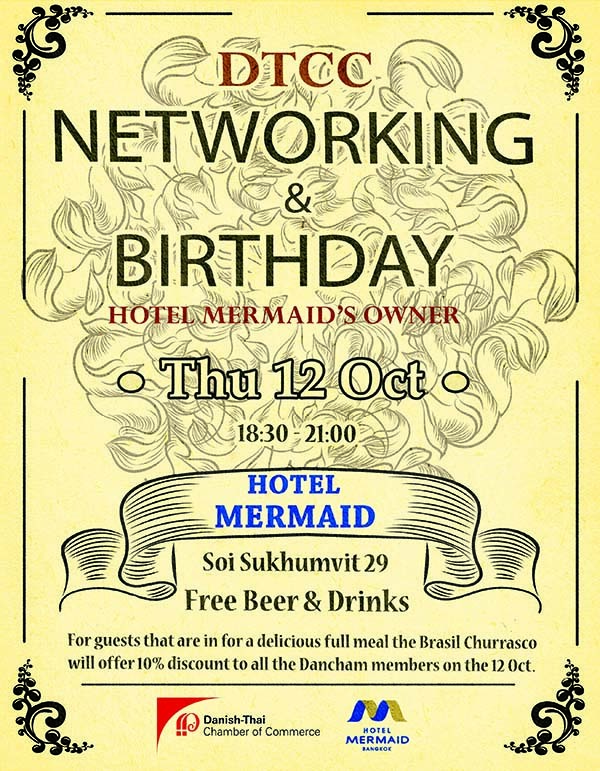 We would like to invite you to a cozy business networking event on the occasion of celebrating new cuisine including Danish, Thai and Dutch food. Menu to be downloaded here. Be ready for a lucky draw as well!! !